Much of what we do here at Atomic Magpie is treasure hunting. Scouring markets, thrift stores, rummage and yard sales, we’re always on the lookout for the perfect mid-century pieces. Recently, we stumbled across a treasure that made the hunt all the more sweet. 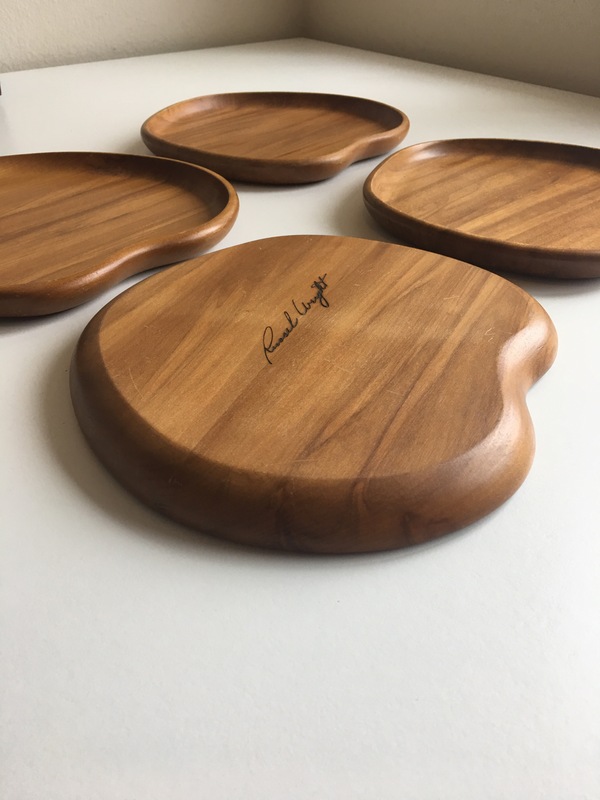 A set of stunning hand crafted Russel Wright American Way wooden plates. Perfection! 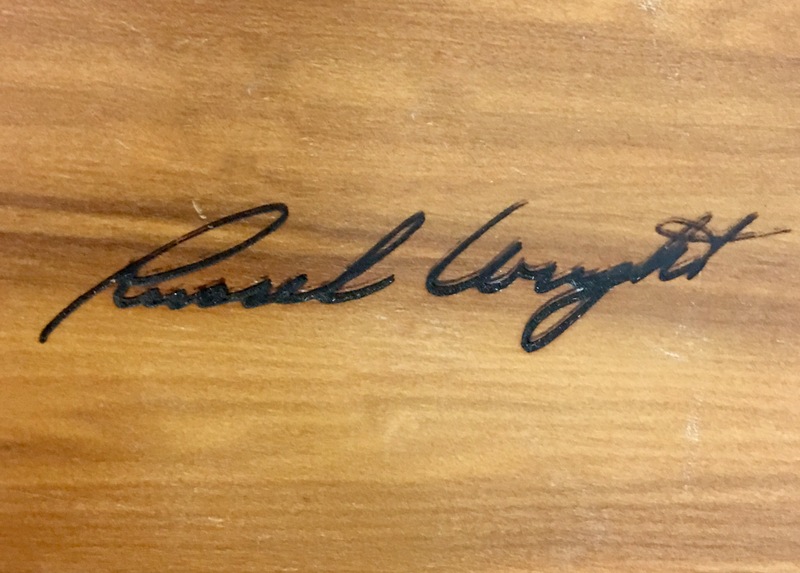 Widely considered one of the fathers of mid-century modern design, Russel Wright was an industrial designer from the 1920s to the 1960s. Wright was known for his simple, modern lines, and designed furniture and homewares with the goal of bringing modern design to everyday homes. He is possibly best known for his line of dinnerware, the “American Modern” collection. His ceramic tableware, produced by Steubenville Pottery, is still wildly popular among collectors. Etched into the underside, Wright’s iconic signature. 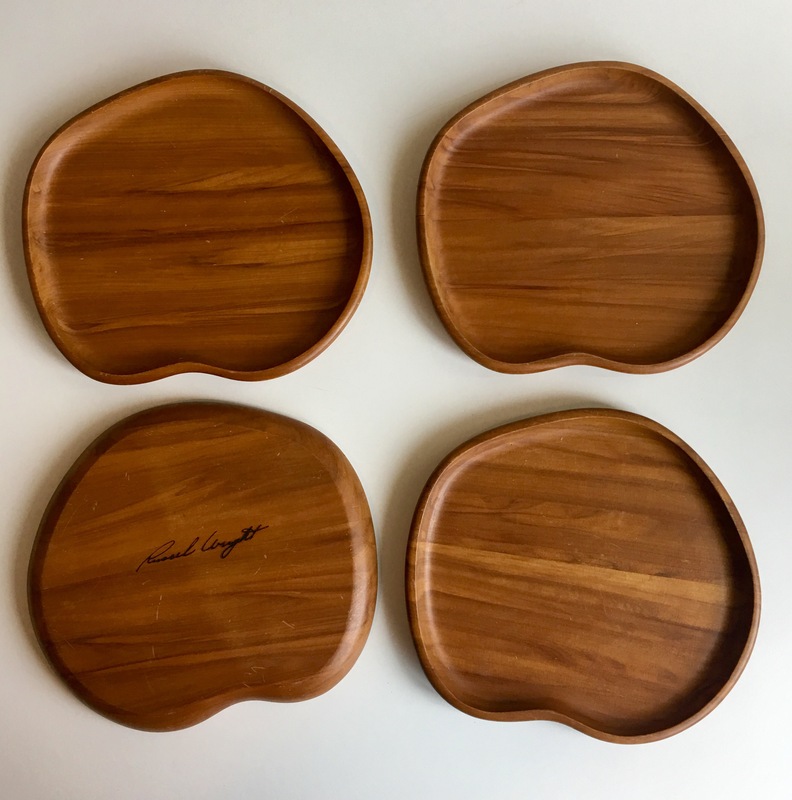 In the mid 1930s, Wright designed a limited line of handcrafted wood serving pieces, manufactured by the Klise Woodworking Company. These pieces, known as the “Oceana” collection, were part of a larger collection called “The American Way,” and are considered some of his most collectible, sought after pieces. Extremely rare, this collection is typically only found in auctions or on display in museums – and it is easy to see why. These hand turned pieces, made from Walnut, Olive Wood and Maple are sculpturally stunning. The excitement of finding these pieces is a huge part of why we do what we do. We love the prospect of unearthing something special and sharing it with the world, and on this occasion, we were not disappointed!